Bored with your old kitchen design and looking for a kitchen renovation in London? How would you like to practice your culinary skills in a spacious new area created by Breslin Construction Ltd? Do you need more storage and workspace? A new updated look? Better traffic flow? A quiet, bright morning breakfast spot? Kitchen renovations can be one of the most exciting and important changes you can make to your home. You can get an efficient workspace that makes everyday tasks enjoyable. Just tell us your kitchen ideas and we will give of our best to implement them. We provide a full (In House) Design & Installation Service. You’re likely to get more space to live, more space to eat and more space to store. Breslin Construction Ltd can make structural alterations, such as removing a load-bearing wall to open up space, construction of windows, doors, or a skylight. Arrange an Obligation Free Consultation to ensure that your potential kitchen renovations are feasible, complement your existing décor, and avoid potentially costly errors. 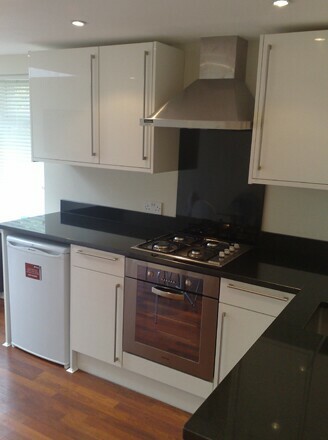 Get a high quality kitchen renovation in London at low cost. At the Initial Consultation at your home we will discuss your kitchen needs and renovation ideas to establish the initial design. Together we will review the preliminary design, and amend it until the right solution is found for your requirements and budget. After our initial consultation with you, we can provide sketch plans of the kitchen units and the plans for renovation to ensure that the overall design fulfils your needs. Breslin Construction Ltd will prepare a written quotation with a Fixed Cost Price Contract for your consideration. © Copyright 2017. Breslin Construction. All rights reserved.